Dorset GP Centre | Why should I do General Practice in F2? Why should I do General Practice in F2? General Practice is the cornerstone of the NHS and the first point of contact for many patients. During your rotation you will learn about managing acute and chronic health problems, as well as health promotion and prevention. Your medical knowledge will be stretched and developed and a single clinic could involve assessing a child with fever, medication review in a dizzy, elderly patient, young woman requesting a long acting form of contraception, giving advice to keen runner with a musculosketal injury, managing an exacerbation of COPD and a capacity assessment in a patient with dementia. In General Practice you will see how mental health problems, psychological wellbeing and social circumstances impact on patients’ physical health and their feelings of wellbeing. You will develop good communication skills and learn to quickly determine what has brought the patient today. At medical school you learnt about ‘patients ideas, concerns and expectations’ and in General Practice you see the importance of this approach in managing your clinics and offering good patient-centred care. General Practice can feel quite isolated when you start. However, in reality, GPs work closely with one another and with others in the primary health care team. During your induction you will have the opportunity to spend time with various members of the team. Get to know the practice nurses who will be able to support you in many aspects of patient care and often have an interest in chronic disease management, such as COPD or Diabetes. The receptionists know patients well, so listen if they are concerned. Many practices have health visitors, district nurses, physiotherapists, counsellors, podiatrists etc in the building and it is important to get to know the wider team early in your rotation. Read Dr Mike Masding’s (Head of Foundation School, Wessex) comments on why all doctors should undertake a GP rotation. Dr Masding is not a GP. He is a Consultant physician in acute medicine, diabetes and endocrinology. 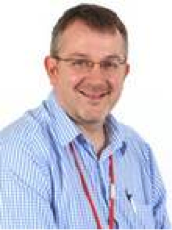 Dr Masding was also Foundation Programme Training Director at Poole hospital from 2004-2011 before being appointed as Head of Foundation School across Wessex Deanery. In most cases, a hospital care episode will have started with a visit to the GP. Through working in primary care, Foundation doctors come to have a better appreciation of care pathways, and start to realise that as far as patients are concerned, there is no primary/secondary care divide! The vast majority of secondary care doctors have regular contact with primary care colleagues. Through spending some time in primary care, Foundation doctors can reflect on how to improve their communication with GPs when working in their hospital posts. By spending time in both primary and secondary care, Foundation doctors get a wider view of how the NHS works. Foundation doctors are the future leaders of our profession, and will have to deal with the issues that arise from organisation (and re-organisation) of the NHS both within primary and secondary care (if those divisions still exist in the future). In October 2014 NHS England published The NHS Five Year Forward View and Chapter 3 outlines new models of care in which the barriers between primary and secondary care are dissolved. Many hospital posts are becoming very specialised, with a small range of conditions being treated. The large number of conditions seen in primary care is ideal for the Foundation Programme, which aims to give the trainee a widely ranging training experience. Many curriculum outcomes can be achieved in GP posts. Through observation of, and discussion with senior GPs, Foundation doctors can work on their communication skills with patients and other professionals. It is also an excellent opportunity to develop time management skills, as different time pressures apply in primary care compared to the hospital setting. Foundation doctors are closely supervised in primary care, more so than in most hospital posts. Through the professional conversations they have with senior GPs, usually in dedicated tutorial time, they will develop a wide range of skills. Feedback from the GMC trainees survey and from other sources has consistently shown that Foundation GP posts are the best rated in Wessex. There is a need for more GPs both locally and nationally. Through exposure to the excellent training opportunities in Foundation GP posts, we hope that this will lead to more applicants for GP training schemes”.